These past few days of the challenge have been really difficult ones to pin down, I'm pleased to say that tomorrow's is soooo much easier! I do tend to read in my comfort zone and so if I think I'll hate a book, I tend to not read it. As it's very rare for me to give up on a book once I've started it, I don't set myself up for books that I don't expect to enjoy. So after a bit of reflection, I've come up with the following suggestions for today's challenge. 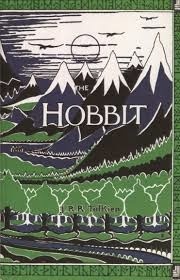 The Hobbit - I was given this as a child by a friend of my mum's who knew I was "bookish" and so thought it'd be ideal. I didn't know anything about it, (I am very old and this was way before Peter Jackson had probably even thought about making the films!) and I hated it! Actually that's a bit unfair as I didn't get very far, got bored and gave up. Maybe I was too young or it just wasn't the right time. However, when I did go back a couple of years later, I loved it. 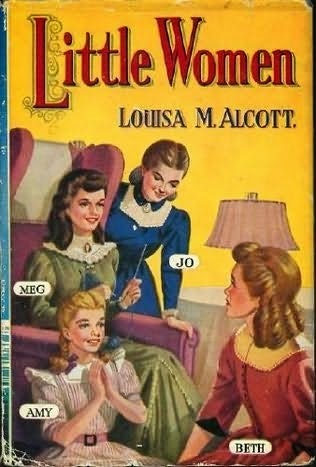 Little Women - was given to me at school (probably by a frustrated teacher when I was moaning that I'd read everything else!) and it had a nasty twee cover, which if not exactly the one I've included was pretty close. With blushing girls with fussy ringlets and prissy dresses on it, I loathed it on sight. It didn't help that I wasn't very keen on that particular teacher, either. But as we had regular silent reading sessions and with nothing else to do, I gritted my teeth and read it. Although I didn't understand what calf's foot jelly was all about, I did love it and wanted to be Jo, just like every other girl forced to do something they didn't want to. Twilight - I know it's sad and as I said earlier, the whole series didn't stand a re-read but I adored Twilight for the sheer romance of it. 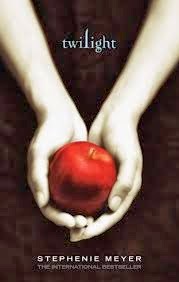 I only bought it as I was fed up of all the hype (again, pre-films) and wanted to hate it particularly as Bella is such a pain and Edward is controlling, but it's a bit of a guilty pleasure.